This blogpost was written by Maria Stephens, Participation Manager at Children’s Rights Alliance for England (CRAE) and UK OGN Steering Committee member. 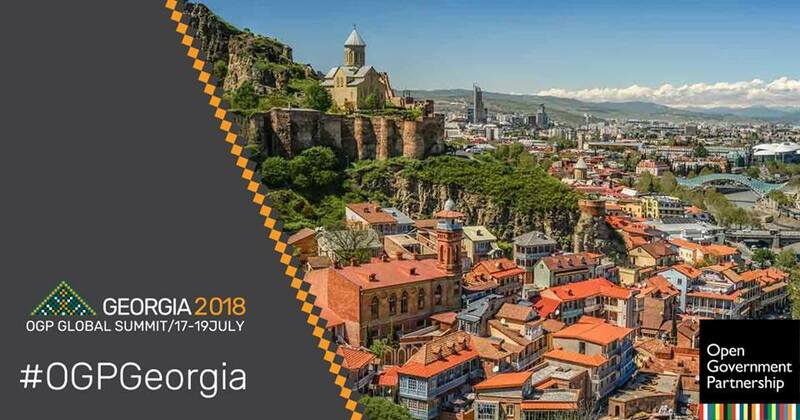 In July I joined the UK delegation to the OGP summit in Tbilisi, Georgia. My work is focused on youth participation and children’s rights and I was encouraged by the OGP Civil Society Network’s willingness to provide funding for Children’s Rights Alliance for England (CRAE) young activist, Mark, to attend with me. Mark and I were both pleased to find sessions focused on youth engagement and run by young people on the summit agenda. Amongst many inspiring examples of young people’s participation in OGP it was brilliant to hear about efforts made by the Spanish Government to teach children about Open Government through a school study programme, which recognized both the importance of engaging children and young people in questions relating to government and democracy from a young age, and their capacity to contribute to democratic decision-making processes given the right information. But despite these positives, engagement with marginalized voices at the summit felt limited. Youth discussed youth issues but were not engaged in sessions on broader topics, which was disappointing. While having children and young people present at the OGP summit is a good step forward we must also create an environment which enables those whose voices and experiences are most often overlooked, or sidelined, to be heard, and for their views to have power and weight in decision making processes on a day to day basis. Only in this way can policy be created which meets the needs of those it impacts. Children, like other marginalized groups, have basic needs- housing, health, to live free from violence, to have access to information. They can talk as experts on their experiences of these issues. The need for citizens to be heard is a cross cutting theme across many issues relevant to Open Government. I’ve been lucky enough to work with many children who have become engaged in fighting for their rights. Most recently I’ve been working with children and young people on a homelessness campaign called ‘Change It!’. Many of the children who lead the campaign have experienced homelessness and been left in squalid, unsafe accommodation for long periods of time where they are unable to study or play despite legislation which prohibits this. These children are some of the most knowledgeable and passionate activists I’ve ever worked with. At the launch of our recent campaign report in parliament they spoke with eloquence and conviction about the need for the government to implement the law and stop housing children in unsuitable and unsafe accommodation. Many children I have worked with are fully able to participate in analysis of policy and its flaws, given the right support. At the OGP summit I attended a powerful session led by adult activists focused on resistance against attempts by Government to restrict the civic space. I was so impressed by the examples shared by grass roots activists from around the world. I could imagine the children I am working with contributing to this session on an equal platform. It’s time for the OGP movement to enable all citizens – old and young – to be able to fully participate in the whole OGP agenda.